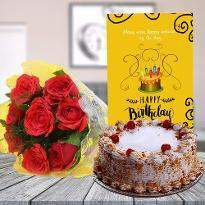 If you happen to have a special moment of celebration coming up or you want to make dear one feel special residing in Yavatmal, here on Winni we have the humongous range of online flowers that can easily win the heart of your near and dear ones. 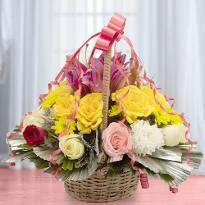 You can choose amazing arrangements of beautiful flowers from bouquets to bunches and from a basket full of flowers to heart shape arrangements etc. 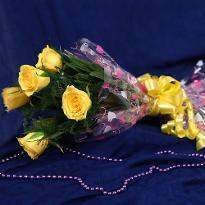 You can scroll to explore the wide range of vivid flowers for beloved ones and can also send them to Yavatmal. 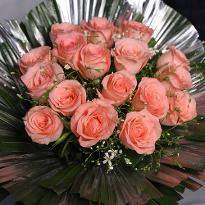 These charming flowers are also known to be an excellent mood lifter and can put a smile on anyone’s face. So if you want to congratulate someone on their achievements or wish best of luck for future endeavors you can choose different special occasions or events. 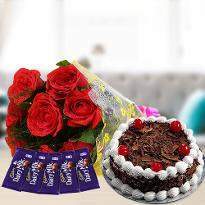 If you want to impress your dear ones with something beautiful and joyful gift then you can send flowers to him\her in Yavatmal online from Winni. 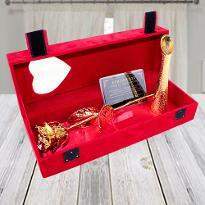 If you are in distance relationship and want to express your heartfelt emotions to your special one then don’t let the distance become an obstacle in the path. 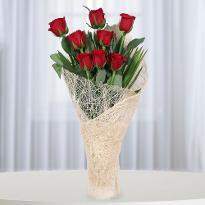 Express your undying emotions to your special one by presenting them a bouquet of flowers. 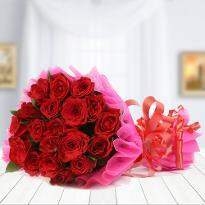 You can choose and send colorful Flowers to Yavatmal as your token of love from Winni and be a reason for their happiness. 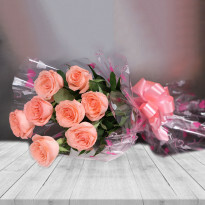 When your feelings are true and you want them to be expressed, then you need to send perfect flowers to let them know how much you care for them and Winni gives you a chance to choose the best flowers for every occasion. 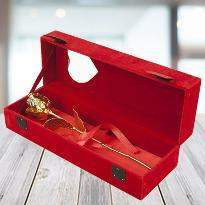 Now you can choose all kind of flower arrangements to make him/her happy on an upcoming occasion. 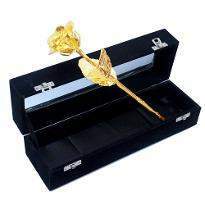 We have the best assortment of colorful flowers which are handpicked and packed perfectly to capture the immediate attention of your near and dear ones. 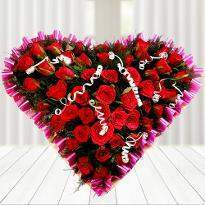 You can send lovely Valentine flowers online from Winni to your beloved one and be the reason for their smile. 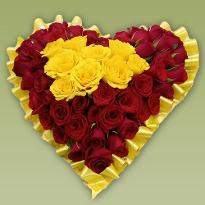 Winni is the one stop shop to order fresh flowers online in Yavatmal. 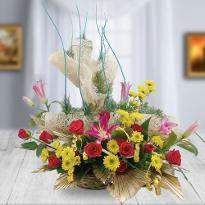 Why waste time visiting your local florist shops when you can buy a fascinating flowers bouquet or arrangement online from Winni. 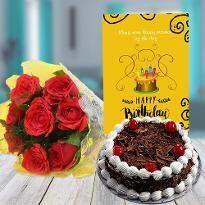 So place your order now and send the desired flowers anywhere in Yavatmal with our impeccable same day and midnight delivery options. 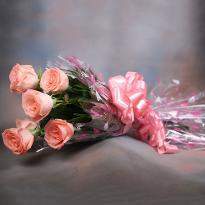 Sending fresh flowers to Yavatmal is now so easy with Winni. All you need is just a few clicks and your order with Winni is placed. Be it any occasion, just don't’ miss the opportunity to convey your deep love and heartily wishes to special someone living in Yavatmal. All that you need is to do is browse our floral category online and select the flowers of your choice which include beautiful arrangements of gorgeous gerberas, stunning roses and much more. 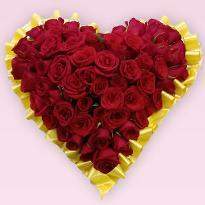 Even on Valentine Day you can choose a broad variety of Valentine flowers online from Winni and send them to your beloved one residing at Yavatmal. 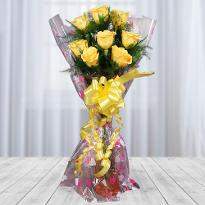 All you need is to hurry and place an order online from Winni and get timely delivery of online flowers. 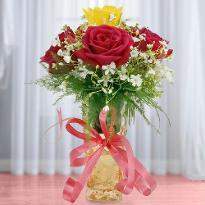 You can choose all kind of flowers for every occasion and deliver them on the same day with Winni. 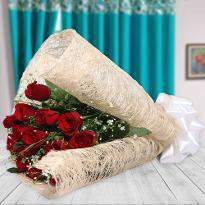 Winni even lets you choose the time slot on which you want to deliver the flowers to your near and dear ones, that’s not it, you can even plan a perfect surprise with Winni and choose surprise option and let the receiver guessing. 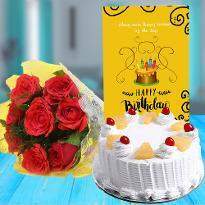 Be it any special celebration of your friend or relative residing in Yavatmal, you can always trust Winni for fresh and joyful flowers. 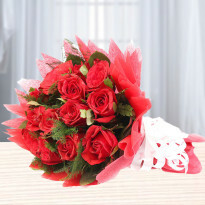 You can send your personal message with flowers and let your feelings be expressed in words. 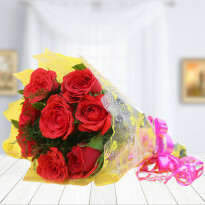 So, go ahead and place your order for flowers online from Winni and get them delivered in Yavatmal.